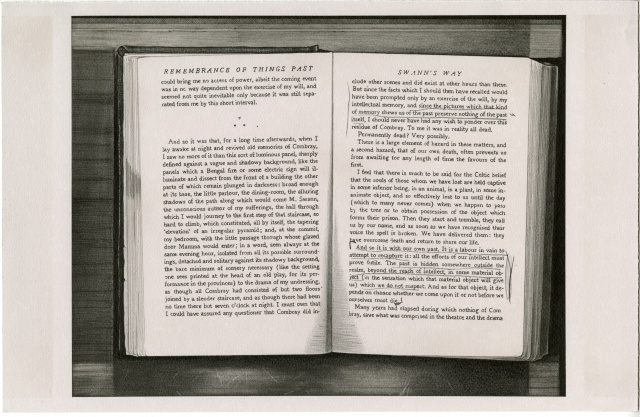 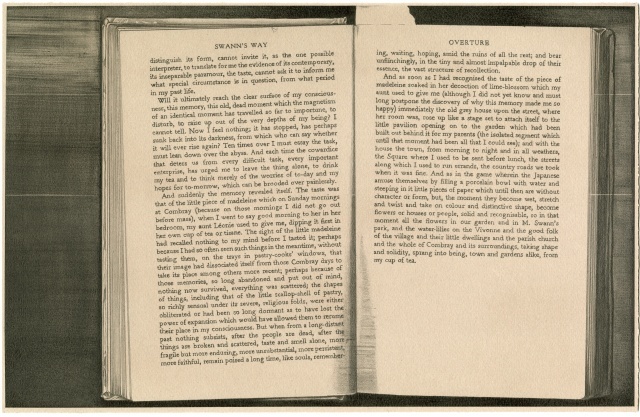 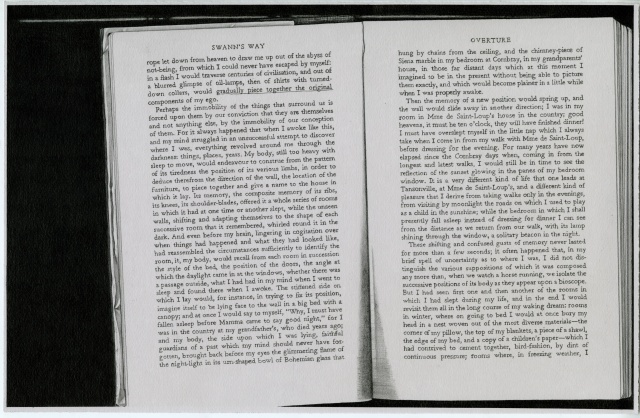 A “translation,” entirely in the form of drawings, of the first chapter of Marcel Proust’s In Search of Lost Time. 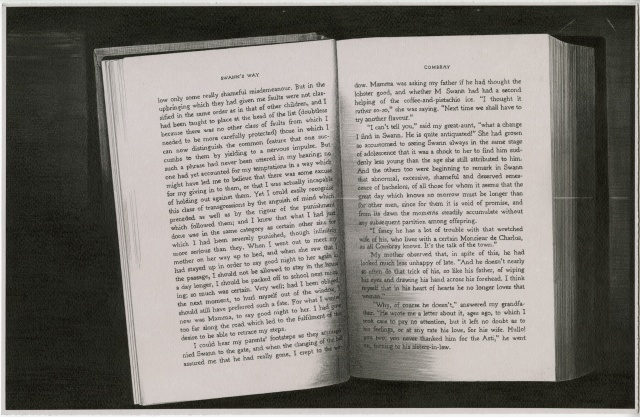 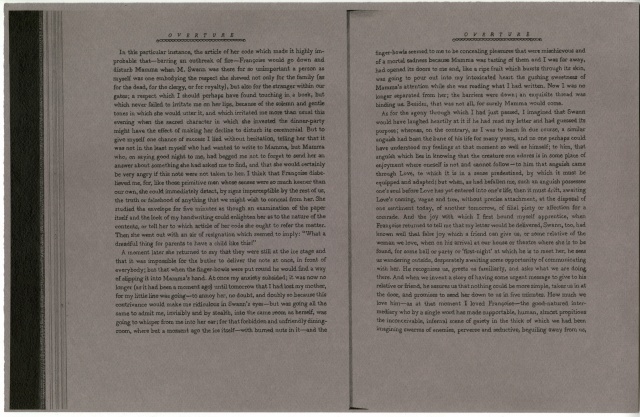 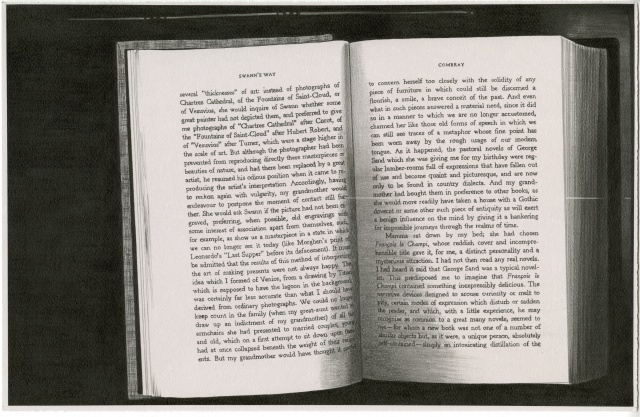 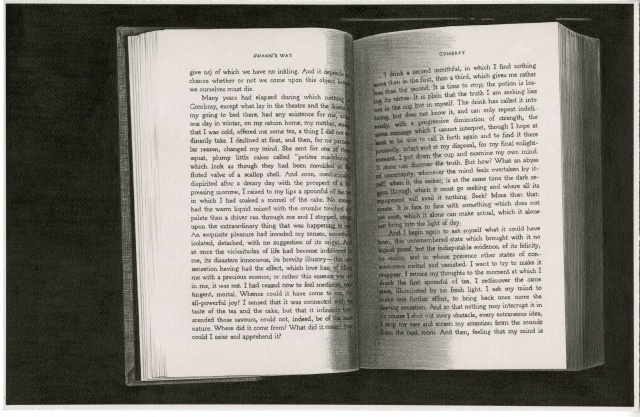 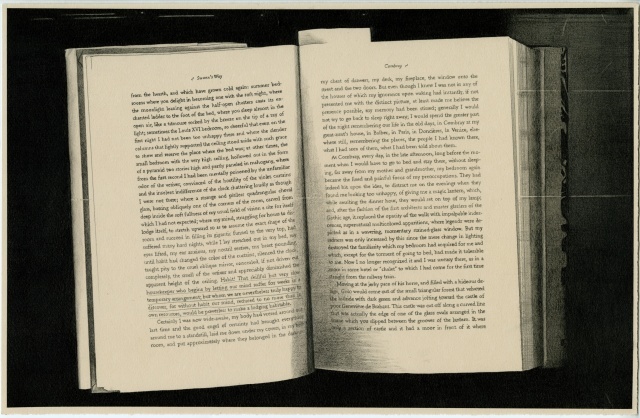 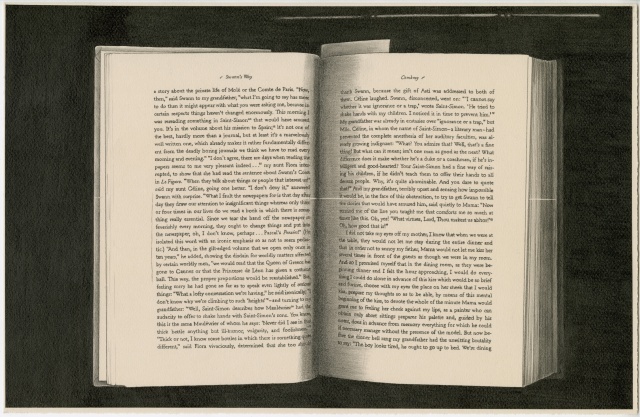 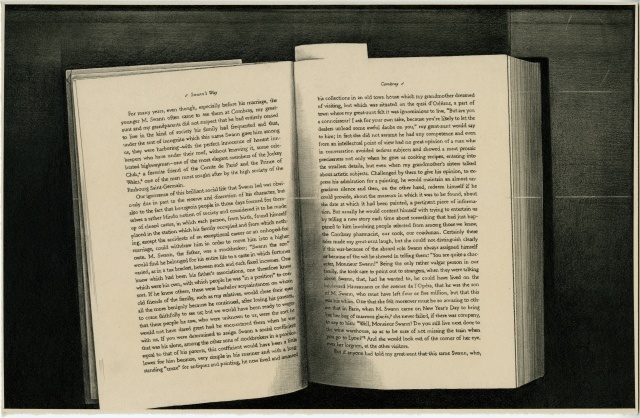 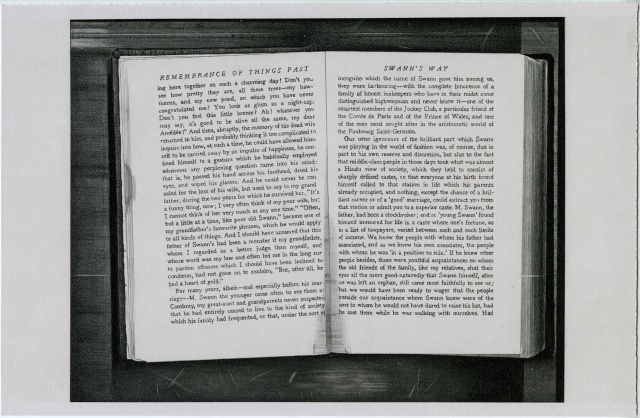 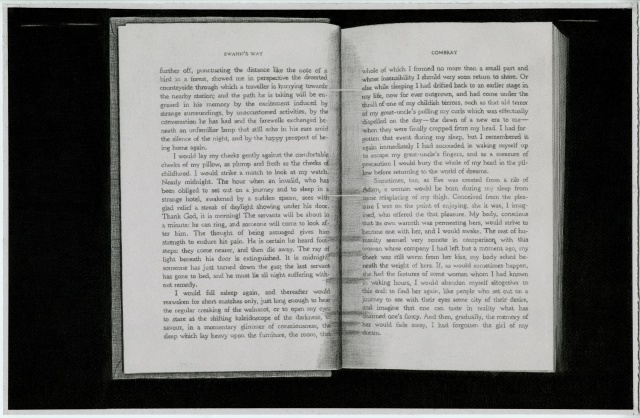 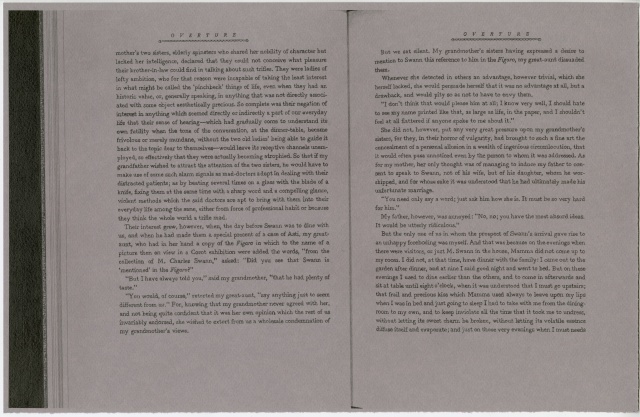 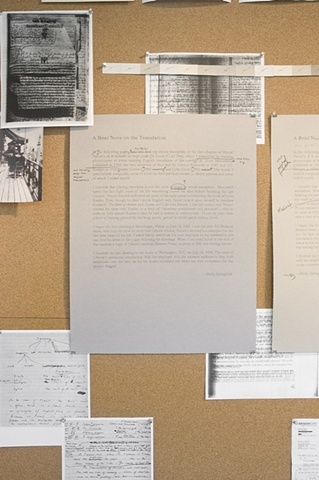 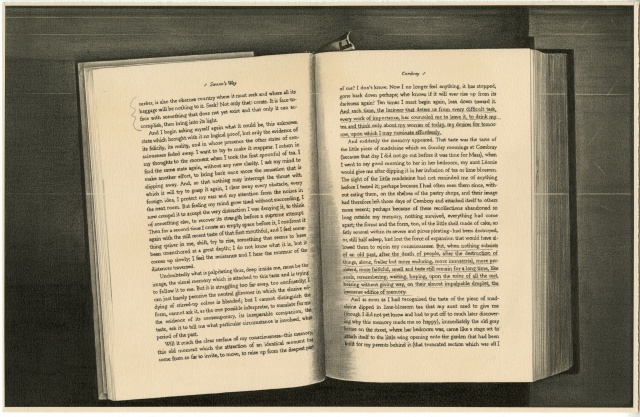 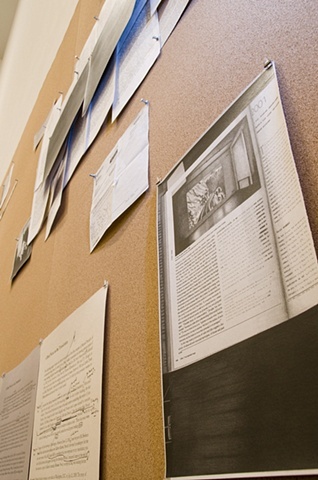 Translation consists of 28 individual drawings of photocopies of sequential pages from the first chapter of the novel, pieced together from every existing English translation. 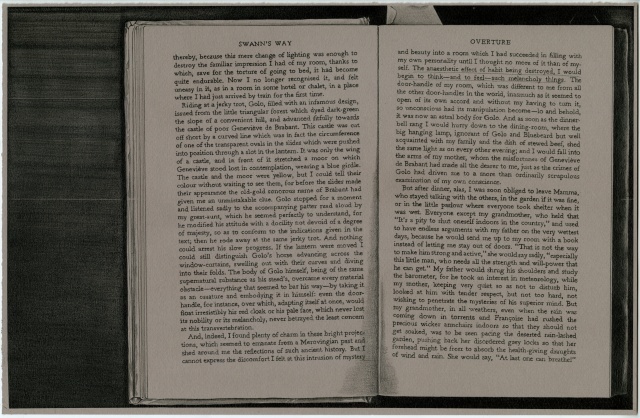 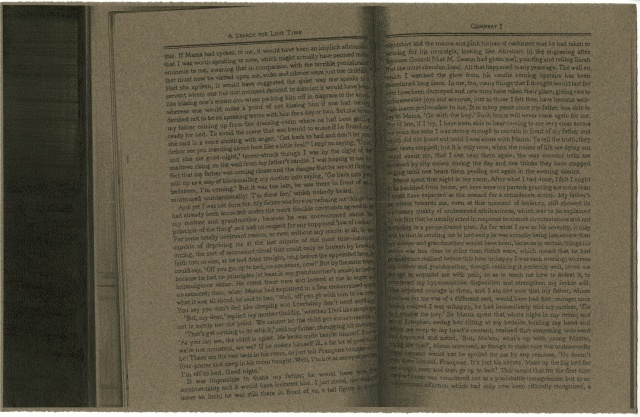 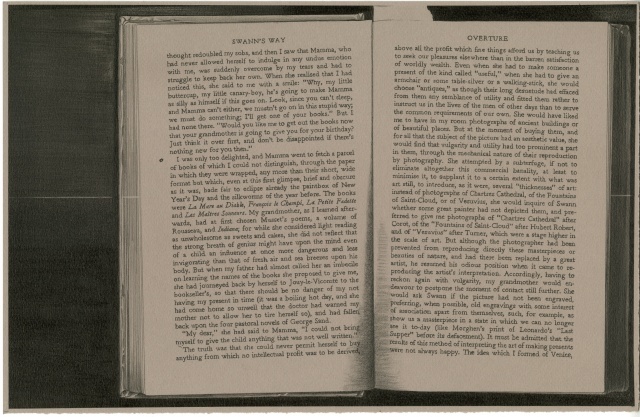 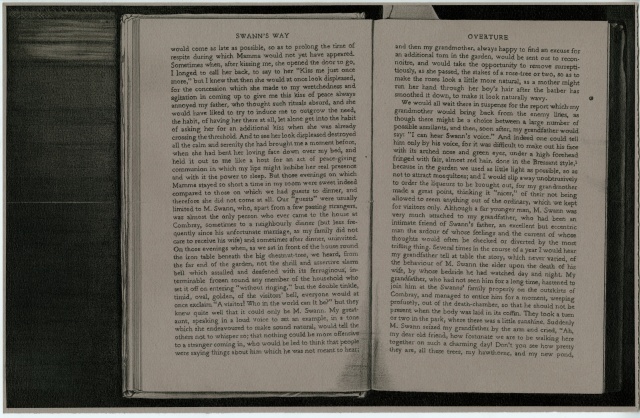 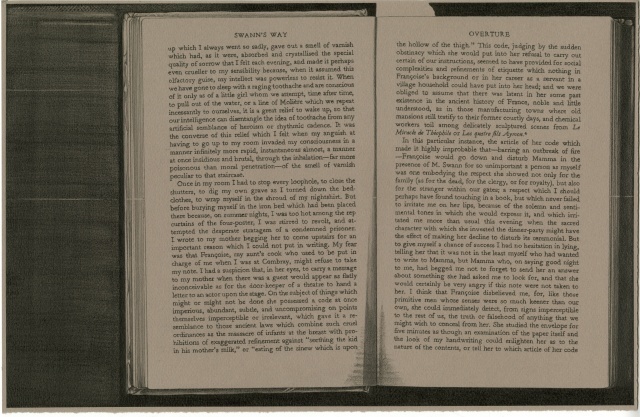 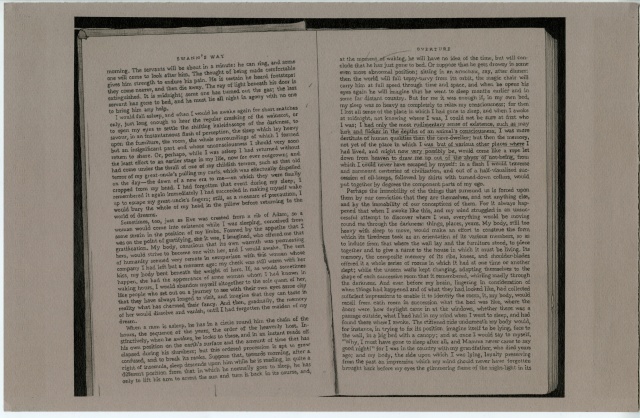 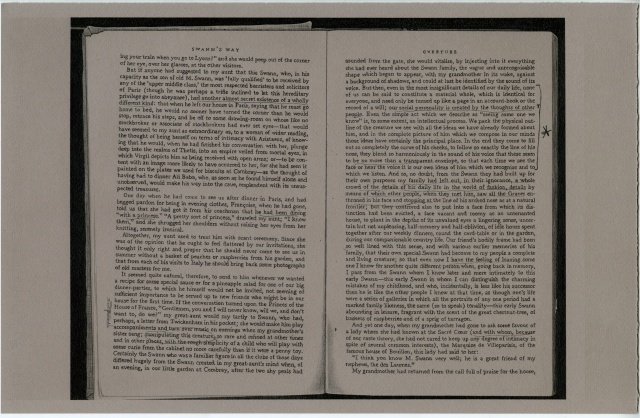 This patchwork results in the repetition and omission of text from page to page, resolving into an incomplete and not-fully-readable rendition of the original. 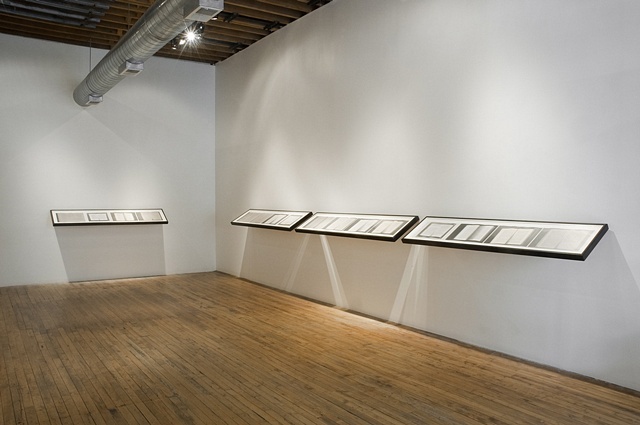 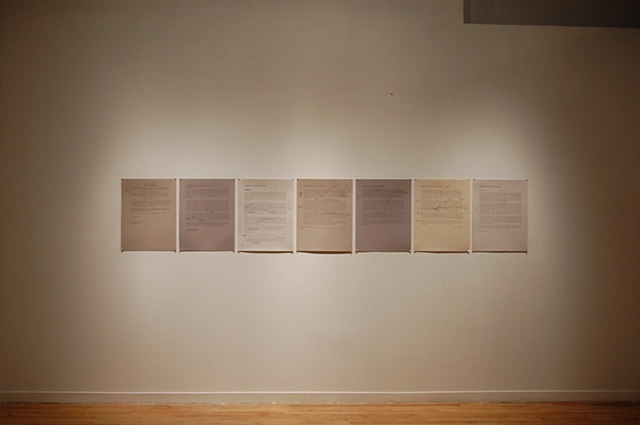 Installation view at Steven Wolf Fine Arts, San Francisco. 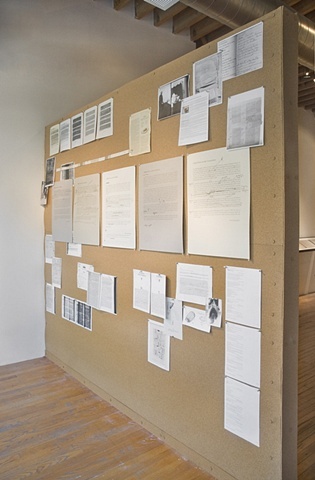 cork, graphite on paper, graphite and colored pencil on paper, photocopies, push pins and other ephemera; 11 x 12 feet . 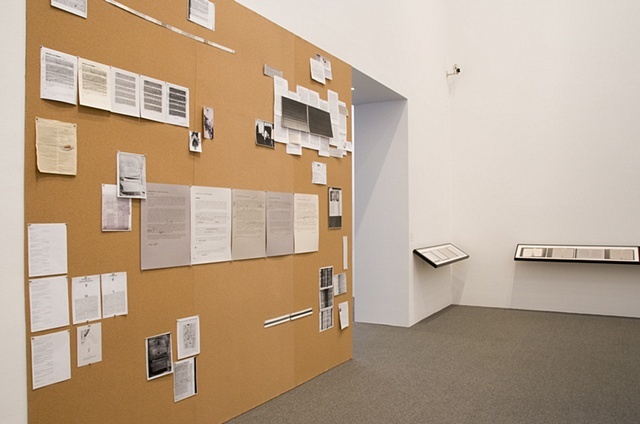 Installation for the 2009 Janet and Walter Sondheim Prize Exhibition at the Baltimore Museum of Art. 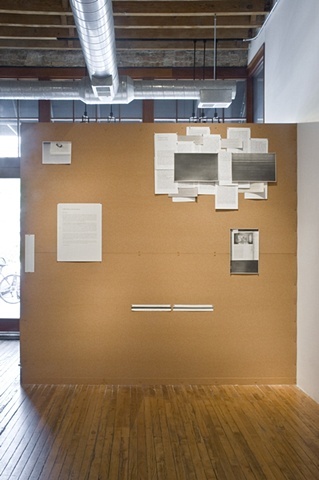 Installation at Thomas Robertello Gallery. 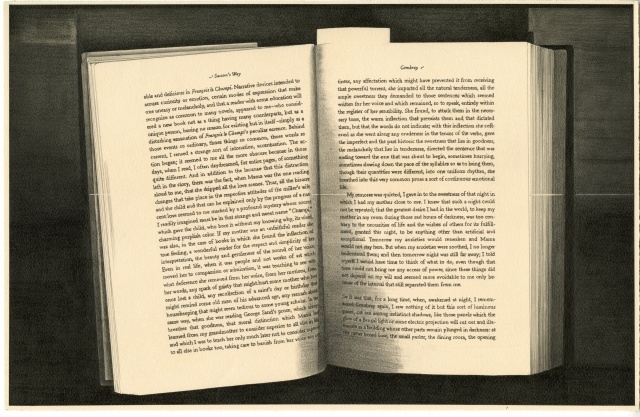 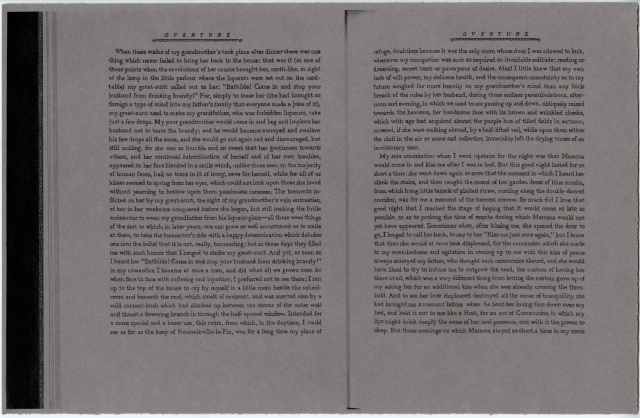 Catalogue essay by Claire Brandon for Graphite, The Indianapolis Museum Of Art (2013). 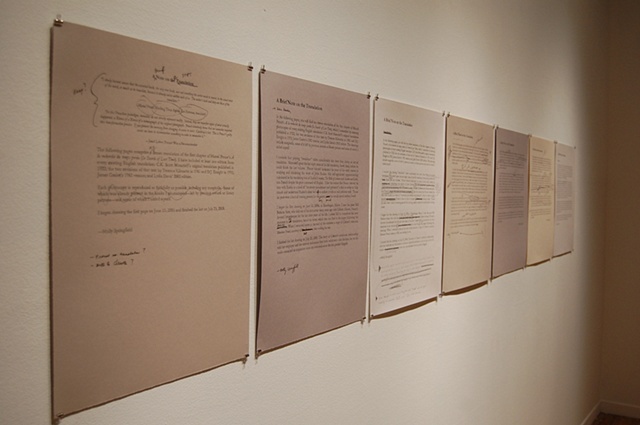 Post by Lisa Pearson on Molly's contribution to the This Is Almost That (Box) (2012). 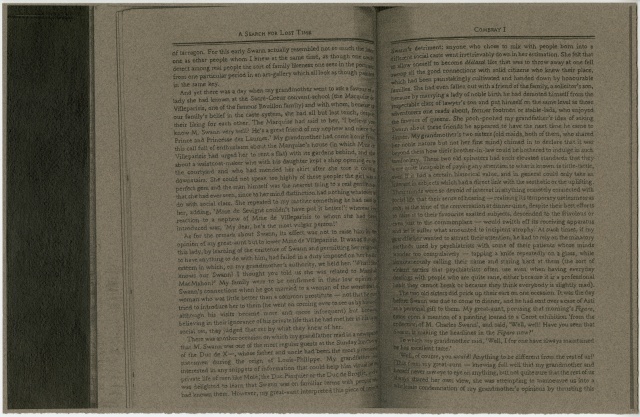 Excerpt in It Is Almost That: A Collection of Image+Text Work by Women Artists and Writers from Siglio Press (2011). 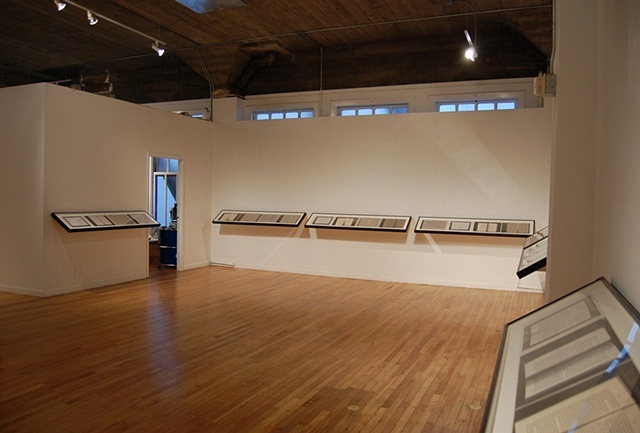 Review by Candice Weber for Art Talk Chicago, September 6, 2009.
Review by Brett McCabe for the Baltimore City Paper, July 8, 2009.
Review by Johnny Ray Houston, San Francisco Bay Guardian, March 10, 2009.
Review by Kenneth Baker for the San Francisco Chronicle, February 28, 2009. 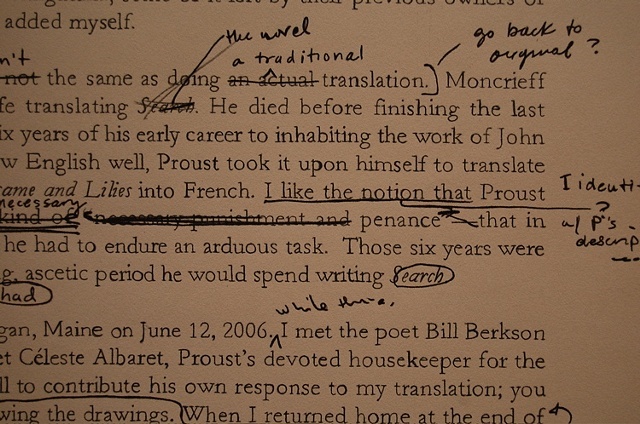 Watch excerpts from a panel discussion with Proust scholar Joshua Landy and art critic Kriston Capps, held in February 2009. 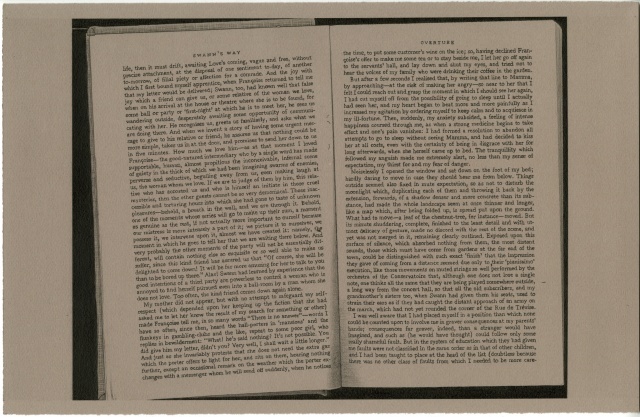 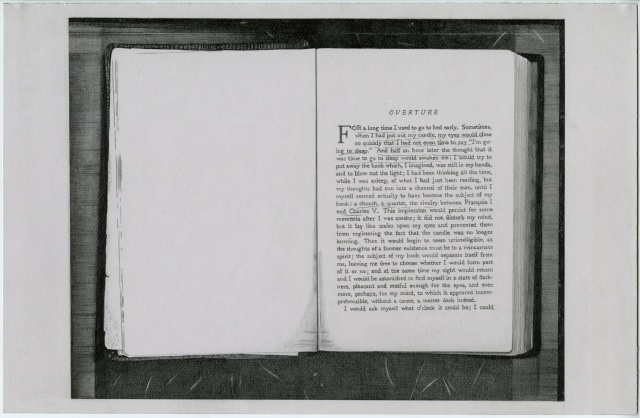 Dear Molly Proust by Bill Berkson, Big Bridge, Issue 14, 2010. 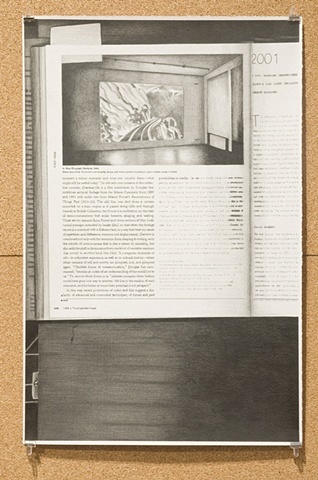 Essay on the project by Molly Springfield in NY Arts Magazine.